Intelligent Direct Mail uses your customer data to create relevant communication that demands attention, drives engagement and provides exceptional ROI. Mail is a very personal channel, it incorporates all the senses. But the real power of DM is unleashed when this combines with the intelligent use of data. Those who work in the digital realm may find there is a constant sense of anxiety as to whether the techniques and practices used today will still be relevant tomorrow. But the statistics show that far from sending direct marketing obsolete, the rapidly changing digital landscape has provided marketers the opportunity to make both email and regular mail campaigns far more effective. Truth be told, direct mail and email marketing maintain a very comfortable position as platforms for reaching target markets and making conversions. 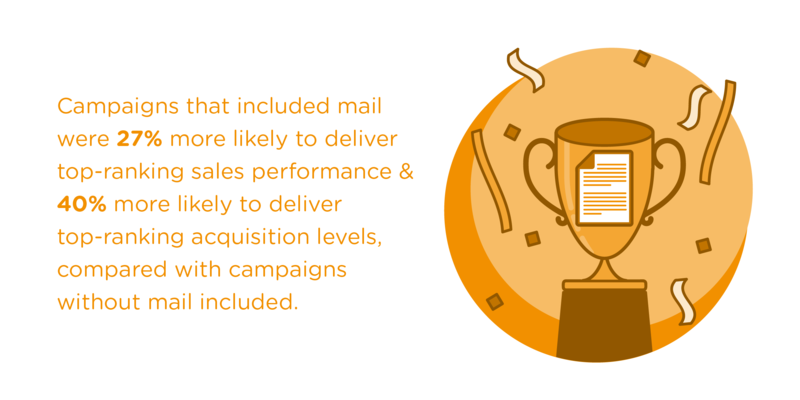 With the right tactics, direct mail can get greater engagement, increased response rates, and better results. Struggling to cut through with your message? Direct mail invokes more human senses than any other media, making it a great way to engage with your customers. With the rise of digital marketing, letterboxes are less cluttered and receiving physical mail is almost a novelty. 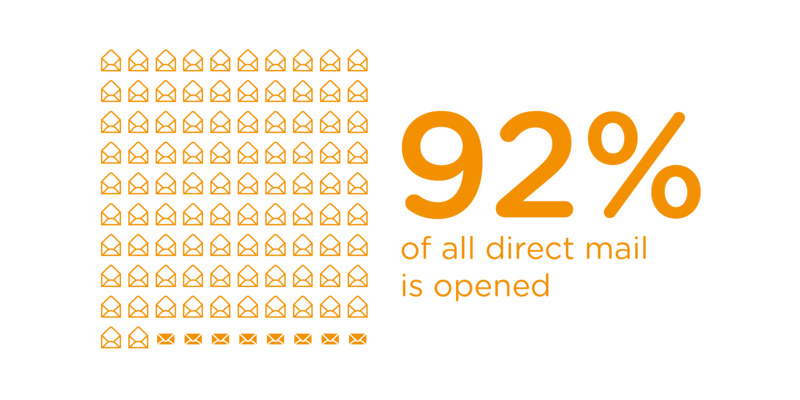 Direct mail demands attention, and as much as 92% of it is opened. Through intelligent use of data, direct marketing allows for branded messaging to be communicated in an extremely personal manner, as part of a fully integrated customer experience. This contributes to making customers feel more valued by your brand. 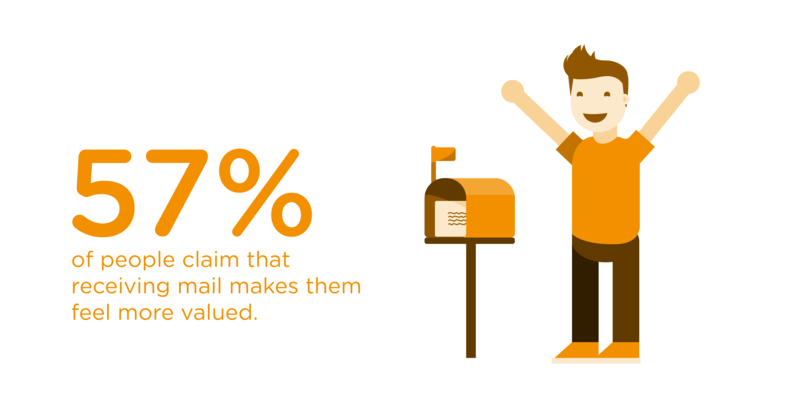 In fact, 57% of people who receive direct mail feel more valued. That personal touch customers receive when they see the message crafted for them makes the experience far more rich for them – which may be why 73% of customers prefer direct mail as an advertising method. 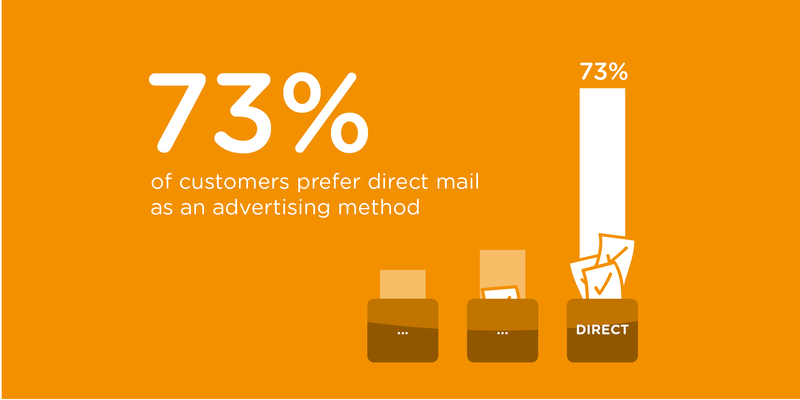 Intelligent direct mail uses your customer data to create relevant communication that drives engagement. 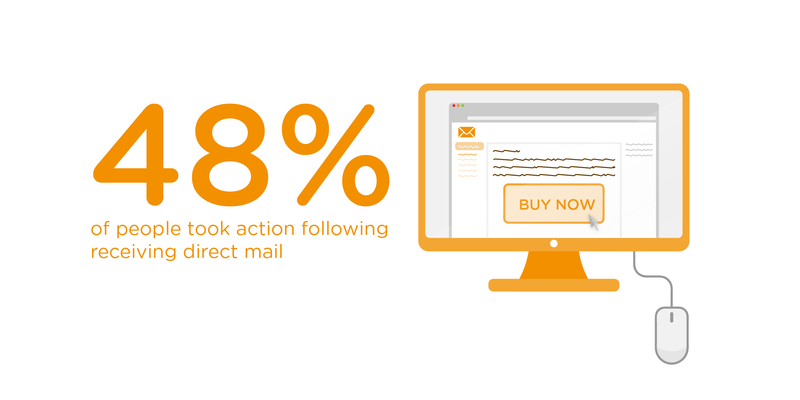 48% of people who receive direct mail take action after receiving it – an amazing conversion rate when compared with other forms of marketing. And it’s not just the older generations who are prompted to take action when they receive direct mail. The myth that physical mail is an ‘old fashioned’ form of communication is just that – a myth. 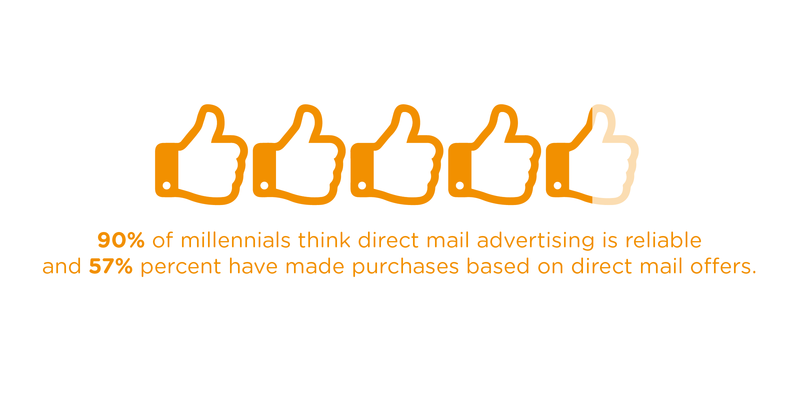 In fact, 90% of millennials believe direct mail marketing is reliable, and 57% percent have made purchases based on offers made by direct mail. Now it doesn’t matter how creative your message may be, if your customers can’t remember it then the purpose of your campaign has been lost. 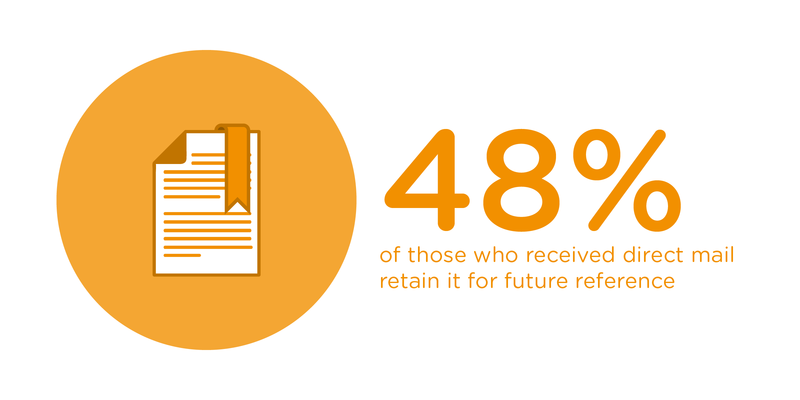 With direct mail marketing, 48% of customers retain the message for future use after reading it. Direct mail and email marketing campaigns specifically target customers who are already invested in your product, therefore they are more likely to retain the information you send them because it pertains to their interests. Using customer data to glean insights that demonstrate a deep understanding of each individual customer can help you create direct mail that results in more engaged customers with increased lifetime value. They are less likely to look to another company, because they feel understood and valued by your brand. 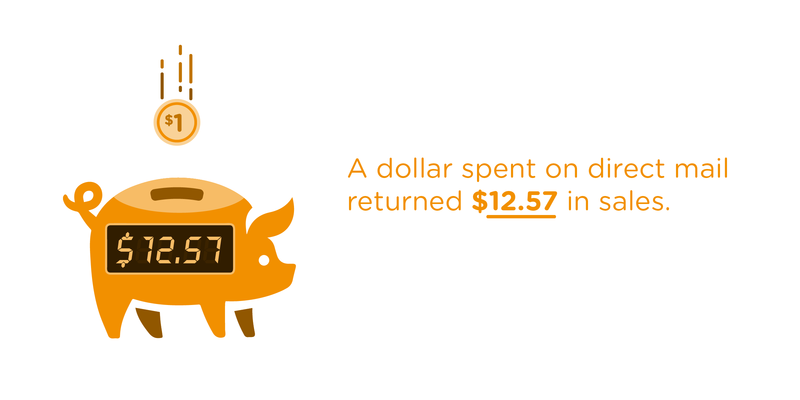 When it comes down to dollar value, direct mail has been proven to offer an enviable return on investment, with studies showing that one dollar spent on direct mail returned $12.57 in sales. 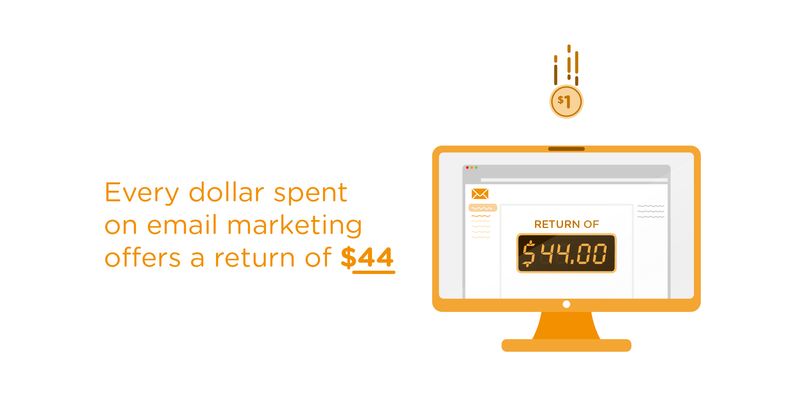 Email marketing is even more profitable, with every dollar spent offering an average return of $44. With our ‘always on’ culture, your customers can be communicated to whether they are in the lunchroom at work, on the bus home or waiting in line at the bank. 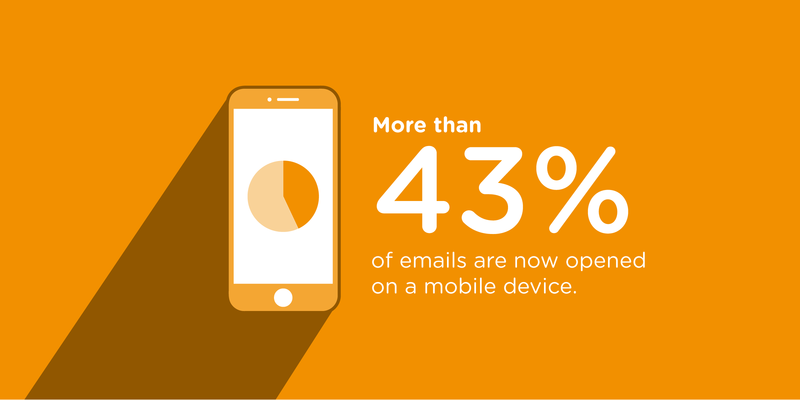 More than 43% of emails are opened on mobile. With direct marketing’s influence anchored in the opportunity to personalise your branded message, delivering that message directly to the customer’s pocket is a brilliant opportunity to take advantage of. Direct mail marketing is not on the decline – it’s simply going through a process of evolution. The best marketers are taking advantage of the opportunities that data provides to improve direct marketing campaigns and integrate them with a multi-channel strategy that makes customers feel all the more valued and understood.